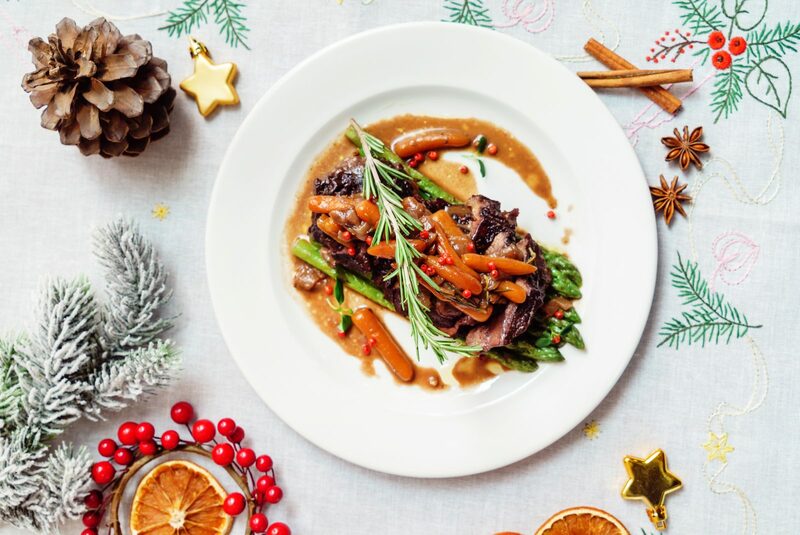 Whether you want to avoid the hassle of cooking on Christmas Day, or you’re having a festive night out with work colleagues, many restaurants are now accepting bookings for Christmas 2018. Find the perfect place to book your Christmas meal with friends or family from these suggestions. 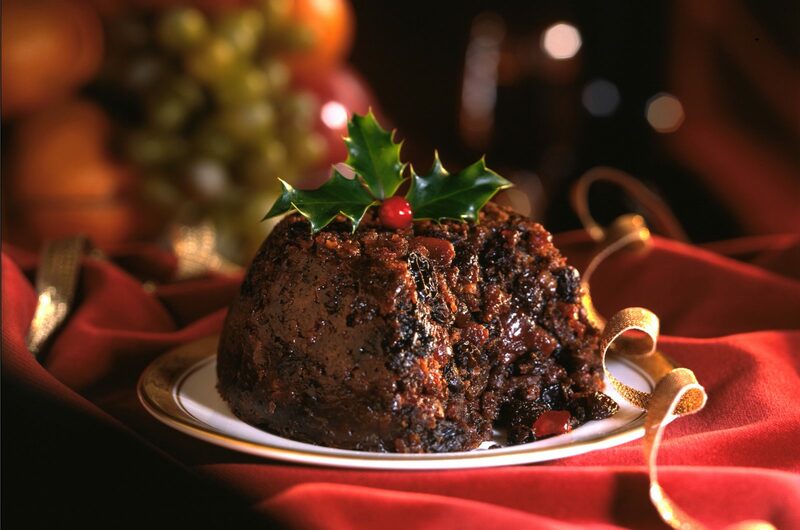 There is something for everyone, from traditional to modern, including British and international Christmas cuisine. Some restaurants even offer discounts or free extras for early bookers. Now more than ever it is easy to find somewhere that caters to special dietary requirements, too. Check out the Christmas menus from this restaurant selection and book before the deadline so you don’t miss out! If most of the people in your party are traditionalists, you might be looking for a typical roast Christmas dinner. And if some of you aren’t, “traditional” doesn’t have to mean boring. These places serve festive meals with a little twist. A restaurant chain on the rise is Brewers Fayre. As an incentive to get your booking in, you could win your party’s Christmas meal for free. All you have to do to enter is book by the 15th November and dine at Brewers Fayre any time between 22nd November and 24th December. One party per restaurant dining from the Festive Menu will get their meal on the house. Your party must have between 2-20 guests to be eligible. Their Festive Menu includes several starters such as prawn cocktail, tomato soup, and cheese dishes. For mains, they offer an Ultimate Roast Turkey Dinner, or a Wellington made from root vegetables. If you’re a little less traditional, you might want steak, fish and chips, or a festive burger instead. Their desserts include Christmas pudding and a Cointreau trifle. They offer the same 2 or 3-course menu for Christmas Day itself and Boxing Day as well. There is a small menu for kids. As the Whitbread Group also owns this chain, Beefeater restaurants are offering the same promotion as Brewers Fayre. Book a 2 or 3-course meal from the Festive Menu at a Beefeater restaurant in the same timeframe as above to be in with a chance of a free Christmas dinner. Their menu also applies to Christmas Day and Boxing Day, though they exclude these dates from the competition. Beefeater has a slightly more luxurious menu on offer. The starters include a root vegetable Tart Tatin and pork paté with sloe gin. They offer the full spread of a turkey roast dinner, or festive steak or grilled salmon. Don’t be discouraged by the name – they cater to vegetarians with a mushroom and spinach tart. Along with traditional puddings, they offer a toffee apple crumble or a chocolate and pear frangipane. Harvester restaurants claim to be able to please even the pickiest of eaters with their set Christmas meal menu. If you book for a party of 6 or more before 31st October, you could win a free bottle of Prosecco for your meal. Their menu for the festive season is a little more adventurous. For example, among the regular starters, you will have the option of buttermilk-fried chicken. As well as the traditional turkey dinner, they serve sea bass, steak, hamburger, or even ribs with festive sides and dressings. There is a root vegetable, cranberry & apricot bake for vegetarians and vegans. The desserts include coconut & black cherry rice pudding or passionfruit & white chocolate cheesecake. Unlike the previous restaurants, Harvester has special exclusive menus for Christmas Day or Boxing Day. They also offer a “Breakfast With Santa” for kids under 10 years old. They can get a cooked breakfast for £5 and meet Santa. At Hungry Horse, you will receive a £10 voucher if you book a Christmas meal for four or more guests before 31st October. However, these vouchers aren’t redeemable during the month of December, and you can’t use them to pay for your Christmas meal. Small print aside, the festive menu at Hungry Horse has some unique offerings alongside the traditional dishes. This includes a starter of cranberry & orange chicken wings, and a “Christmas Pie” main with mashed potato. There is a nut roast with butternut and cashews in addition to a rainbow vegetable tart. Among the desserts are a cheesecake with Limoncello sauce and a chocolate & cherry torte. Their Christmas Day and Boxing Day menus include exclusive dishes, such as maple-flavoured vegetable soup, glazed pork, and profiteroles filled with Irish cream. The children’s menus are much more extensive, offering more choices for pickier kids. You can pre-order alcoholic drinks and save money with their packages. They also offer bookings for New Year’s Eve meals. Why not make things even easier by going to your local Spoons? Their special Christmas menu will give you a taste of something different than your usual. It’s not the best recommendation for the big day itself or even Christmas Eve or Boxing Day, but for a casual festive meal with friends, it could be just what you’re looking for. Each festive meal includes a drink from a fixed selection in the price. There is a children’s meal option of pigs-in-blankets with mash. The adult menu offers a stuffed turkey breast, but it veers a little off track otherwise. Traditional Christmas flavours and toppings find their way into burgers and even onto a pizza. Or you can go for smaller dishes that are a bit less festive. This includes jacket potato and prawns, or the soup of the day. Their limited but exclusive dessert options include a bread & butter pudding with milk chocolate and Bailey’s custard, or a “melty mallow stack” which contains Lotus Biscoff biscuits and spread, chocolate brownie, and marshmallow. Call the Spoons branch to book. A solidly traditional chain of pubs which tends to be overlooked is Nicholson’s Pubs. When you book a festive meal with them by 31st October, they’ll even give you a gift. This comes in the form of a voucher for the restaurant, with the value depending on the size of your group. You could get £10, £25, or even £50 to spend on another meal there in January. Their festive menu includes starters like pumpkin soup and cherry tomato Tart Tatin. For the mains, you can get a classic turkey roast, salmon fillet, beef rib, steak, or nut roast. Finish up with a cheese board, champagne sorbet, or a collection of smaller puddings. You can also get coffee and mince pies for a supplement. Groups with a minimum of 10 guests can opt for the Festive Buffet instead. The spread includes pigs-in-blankets, calamari, and cucumber and tabbouleh salad. They offer the same menu on New Year’s Day, but an edited version on Christmas Day. This includes a sorbet palette-cleanser, sea bass, and more pudding choices. You can pre-order party drinks. Many of us are familiar with a humble Toby Carvery of a Sunday. This restaurant chain claims to be “the home of the Christmas roast,” which you can put to the test. If you want a traditional roast dinner for your Christmas meal, Toby Carvery is a good bet. The seasonal starters include parsnip and apple soup and honeydew melon. Have a festive carvery with turkey, beef, gammon, and pork. Or you can get salmon or a beetroot and parsnip pastry. You can help yourself to the deck of seasonal vegetables, plus chestnut mash and mac and cheese, with all of these mains. The desserts are a little less festive, but still delicious-sounding. Of course, they have a mini menu for kids. They also offer “Breakfast With Santa” like the Harvester. The menus for Christmas Day and Boxing Day bookings offer different starters, mains, and desserts. These options are a little more decadent and festive than the others. For those with an open mind or anyone who enjoys creating new traditions, why not try something different for your festive dinner this year? 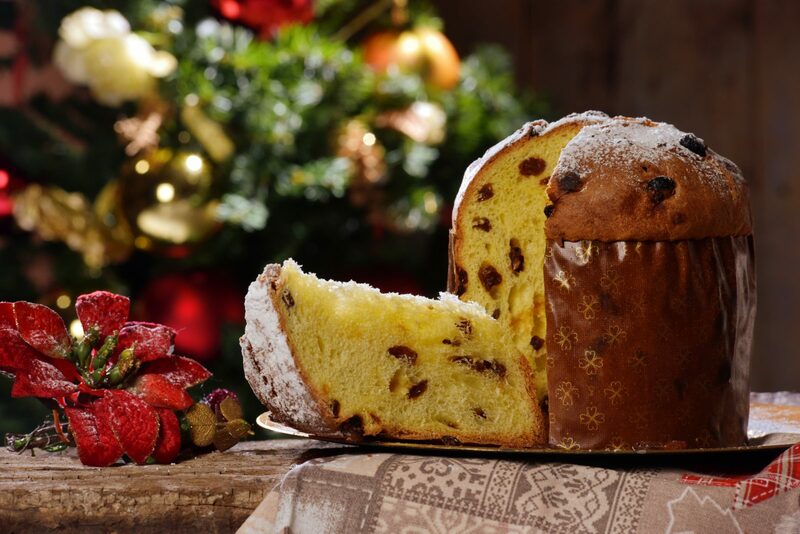 Venture into Christmas cuisine beyond the British trappings to make it a memorable meal. You could celebrate Christmas “the Italian way” by booking your festive meal at Bella Italia this year. The incentives they offer include 20% off the bill if you book before 31st October. The booker will also get a free 2-course meal for two people in January. If there are six or more guests in your party, any designated drivers will receive refillable soft drinks on the house as well. The Italian starters include mushroom bruschetta, mozzarella Carrozza, and calamari. 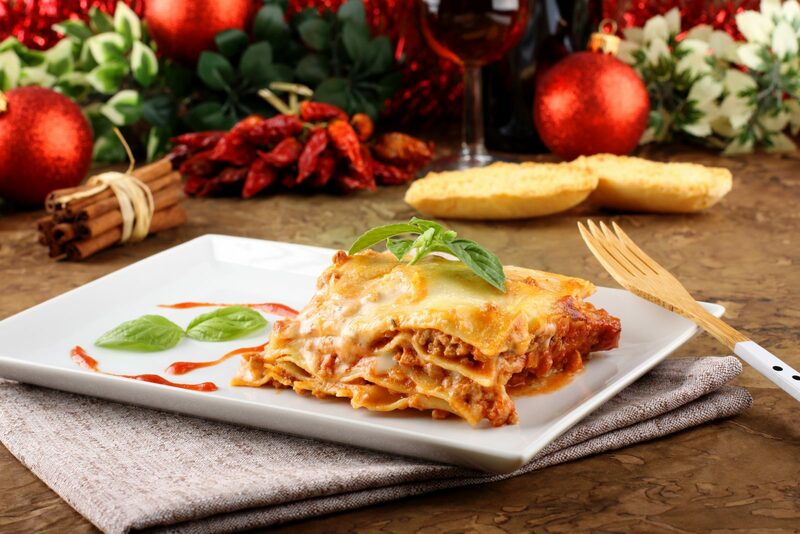 The main dishes include festive pizza or pasta including lasagne, tagliatelle, rigatoni, and bolognese. There is also chicken breast, turkey, steak, or salmon. The desserts include strawberry pannacotta and Panettone bread & butter pudding. Most dishes are vegetarian-friendly, but they also have a festive vegan menu which includes spaghetti and a salsa Verde burger. The Christmas Day menu contains a few extra special options, plus a smaller menu for kids. Giraffe World Kitchen is a slightly more exclusive venue, with fewer branches than many of the chains in this guide. If you book a festive meal before 1st November, they’ll take 20% off your bill. Booking in advance will also get you 20% off bottles of wine. They have a range of cocktails with festive flavours, too. Bookings can only be made for a minimum of four guests, but you can choose from a 2-course or 3-course meal. Their starters include marinated chicken skewers and a falafel bonbon. For mains, you can opt for a traditional turkey with all the trimmings, or be more adventurous with a turkey burger, maple-baked cod, or even a beetroot steak. Puddings include a Speculoos cookie ice cream sandwich, or gingerbread cheesecake. Giraffe World Kitchen brings more colour to festive meals. If you’re a fan of Latin American cuisine, there’s no reason you shouldn’t enjoy it for a festive meal. There are 44 restaurants in the Las Iguanas chain which will be opening on Christmas Day. They have an “Anytime” menu for festive parties. The starters on offer include nachos, chorizo, and tacos. Mains include fajitas, steak, Cuban pork, vegetarian chimichangas and Asado Verduras. The dessert menu offers cinco leche cake and tembleque coconut pudding. The Christmas “lunch” menu has fewer options with simpler dishes, such as burritos and halloumi salad. For the day itself, an expansion of the “Anytime” menu adds roast turkey and a beef empanada to the selection of mains. They also have a kid-friendly menu with straightforward dishes. Las Iguanas could be a good choice for groups of friends with different tastes. If you organize a party of more than 10 people, they will provide a tasty £20 voucher. You can also feel good knowing that £5 from each booking goes to the End Youth Homelessness charity. It’s a classic for a reason – why not book your Christmas party at Pizza Hut? You can book in advance now for a two-course meal from £14.99 per person. You can choose from seven selected starters to kick things off. They include garlic bread, cheese bites, and chicken wings. For the main dish you can choose from any individual pasta, pizza, or flatbread dish on the Pizza Hut menu. You can upgrade to Stuffed Crust or swap to vegan cheese for an extra fee. All dishes come with unlimited salad from the salad bar, as usual. The inclusive drink must be squash or a soft drink, a glass of wine, or a bottle of prosecco, cider, or beer. You can add an individual dessert for just £3 per person to make it a three-course meal. Let’s be honest, Pizza Hut isn’t the most sophisticated of places to dine out. But if you have children or teenagers in your dinner party, it’s easy to please them there. Everyone likes pizza, right? Another option for more traditional Italian fare than the Americanized dishes at Pizza Hut is the Prezzo chain. At Prezzo, the Christmas menu is available for bookings from 27th November through to 1st January. You can choose from 2 or 3 courses if you aren’t starters or dessert people. If you want to open with a starter, choose from entrées such as polenta and gnocchi. The list of mains includes a chicken and winter vegetable calzone, prawn and salmon risotto, and sea bass. Of course, there is plenty of pasta to choose from, like bologna, lasagne, carbonara, tortelloni, and penne arrabbiata. They offer mini panna cottas for dessert, as well as a winter black forest trifle, a honeycomb cheesecake, or a chocolate brownie filled with caramel. The drinks include “Christmas Fizz” or an espresso martini. Whether your reservation is on a Friday or not, you will be thankful for the food and good times with the Christmas menu at TGI Friday’s. It offers three courses with a variety of choices for each one. The appetizers include a spicy “Rudolph Roulette” and a savoury “Sundae” made of layers of Christmas dinner foods! Instead of turkey, you can get a roast chicken dinner with all the trimmings for the main portion of the meal. Otherwise, you can choose from a burger, burrito, ribs, steak, chicken strips, or vegetable fajitas. Some of the best dessert options are a cheesecake with festive spice or an ice cream sundae with warm apple & blackberry. For meals between 22nd November and 13th December, you can get two of the same cocktails from the festive drinks menu for the price of one. If you are booking a Christmas party for 6 or more, you can pre-book a sharing platter and drinks package during this period. It might be yet another Italian restaurant chain, but Zizzi has extensive vegetarian, vegan, and gluten-free choices. This makes catering to individual requirements within a dinner party much easier. They also offer healthier options for anyone who doesn’t want to indulge so much. 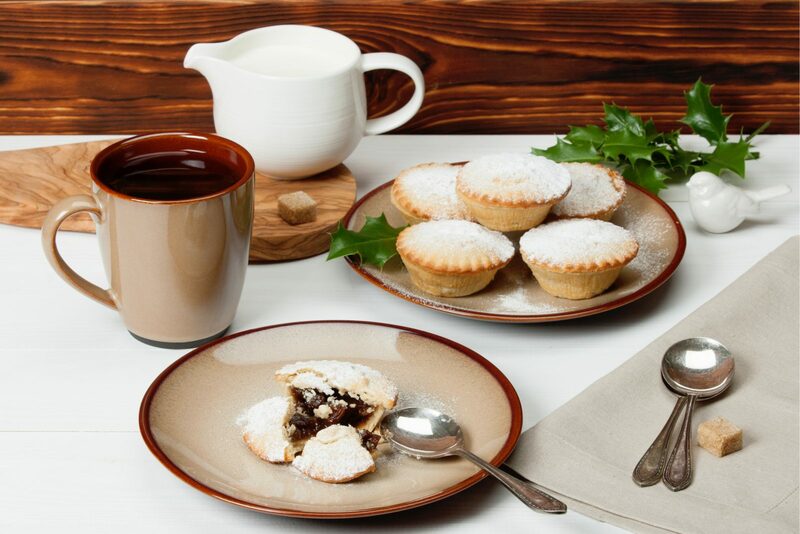 The Zizzi Christmas menu is available from 7th November until 1st January. They have a classic set menu which features their regular dishes, for anyone with a favourite. There is also a “Super Festivo” menu with some special additions. Amongst these are pumpkin mac and cheese “baubles” for starters, and a “Brownettone” hybrid for dessert. The special mains include pork belly arrosto, beef and truffle rustica, and melanzana tagliatelle. There are separate vegan and non-gluten menus that also have festive versions.